Brow lift is a cosmetic surgery procedure designed to reverse the effects of aging and restore a more youthful contour to the brow by tightening the soft tissue. A thorough preparation prior to the surgery will help the patient attain predictable and sustainable results. Facial plastic and reconstructive surgeon Dr. Eric Yavrouian provides brow lift to patients in Glendale, Pasadena, Burbank, Greater Los Angeles, Beverly Hills CA, and other cities and communities in this part of the country. Once the candidacy of the patient has been determined for brow lift cosmetic surgery, the surgeon would like to review the patient’s past medical records. If the surgeon sees any concerns, they may discuss with the physician before proceeding with brow lift, or may modify the surgical plan to ensure total safety of the patient. The patient should request their physician, specialist or hospital to send the previous medical records directly to the surgeon’s office for review at the time of consultation. Although brow lift is a relatively minor surgical procedure, but the patient should ideally focus on having a balanced diet as well as maintaining a regular exercise regimen as far as possible before the surgery. A fit patient will be better prepared, both mentally and physically, to under anesthesia and surgery, and will also heal better. The patient may increase the intake of lean proteins in the diet in consultation with a nutrition expert for a certain period before and after the surgery. The patient should clearly disclose to the surgeon at the time of initial consultation if they have a habit of smoking or drinking alcohol. 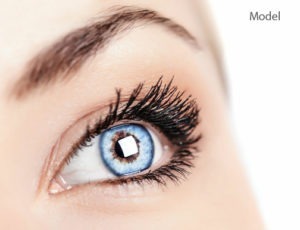 The surgeon will instruct the patient to stop smoking at least a few weeks prior to the brow lift procedure. Smoking can significantly increase the risk of complication and delay recovery. Alcohol consumption may have to be cut down, and should be totally avoided at least 48 hours before the surgery. If the patient is regularly taking aspirin or another blood thinning or anti-inflammatory drug, they will be required to stop using them for a specified period before the surgery. Certain herbal supplements, vitamins, or even prescription medications may have to be stopped for a while in consultation with the physician. The surgeon’s goal will be to minimize the risk of bleeding during and after the surgery. Brow lift is usually performed as an outpatient procedure, and the patient should arrange in advance for someone responsible to drive them back home after the surgery. If necessary, they may also arrange for aftercare for a few days, particularly if they have little children to look after at home. 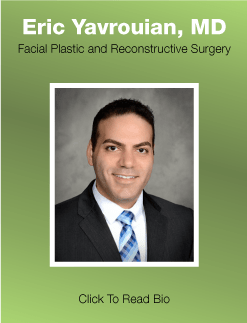 Facial plastic and reconstructive surgeon Dr. Yavrouian receives patients from Glendale, Pasadena, Burbank, Greater Los Angeles, Beverly Hills CA, and nearby areas for brow lift.